Kevin and Holden Riefenstahl posing with the jerseys they wore during the Saratoga Springs, N.Y. Ride to Cure Diabetes bike ride on Oct. 4 (Krystal Nurse/The Sun). 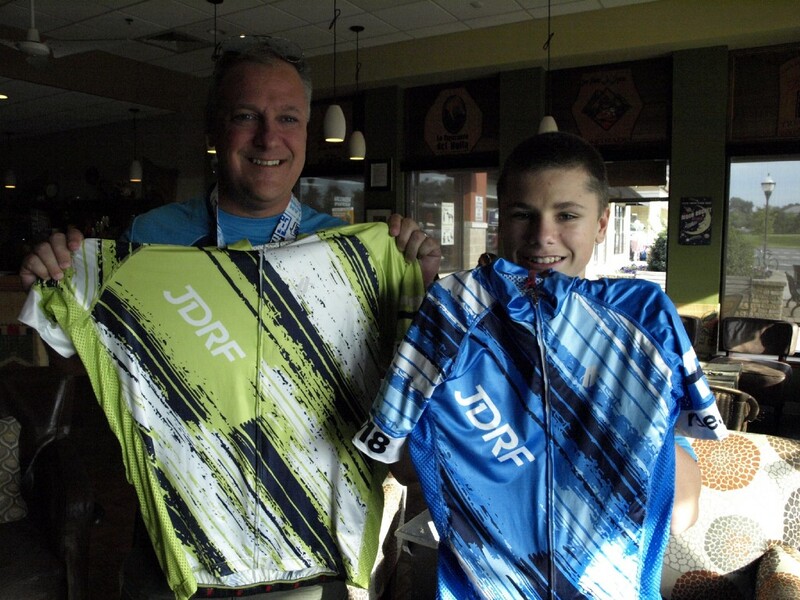 Father-son duo Kevin and Holden Riefenstahl, of Mullica Hill, biked in what is known as a century ride (100 miles) in Saratoga Springs, N.Y., for a Ride to Cure Diabetes from Sept. 13–16. While the ride was physically exhausting, the duo said they would do it again because of the cause it supports. “It was hard, for sure, and it took nine hours to complete the ride,” said Holden. The Juvenile Diabetes Research Foundation raises money to fund research to find a cure and make those who are living with Type 1 Diabetes lives easier, according to the foundation. The organization, said Kevin, does up to six rides a year to raise money through its Ride to Cure Diabetes in Death Valley, Calif., Amelia Island, Fla., La Crosse, Wis., Loveland, Colo., and Saratoga Springs. “I’ve been to one in Burlington, Vt., then I did Amelia Island and then this one in Saratoga Springs, twice, which was Holden’s first,” said Kevin. Within the South Jersey Chapter of the Ride to Cure Diabetes, Kevin and Holden raised money for their team, Holden’s Hope, for Holden himself and other kids who are living with Type 1 Diabetes. They raised $2,005 prior to the ride, which surpassed the minimum required amount of $2,000. On their Thursday arrival at Saratoga Springs, the team, Kevin said, checks in and participates in a dinner with the 400 other riders and rests for that night. Friday they tour the area and test their bikes out to make sure everything’s in good condition, and Saturday the team eats together and does final preps for the Sunday 7:15 a.m. ride start. On Oct. 4, Holden Riefenstahl holds the jersey he wore during the Sept. 16 100-mile ride in Saratoga Springs, N.Y. (Krystal Nurse/The Sun). Holden has Type 1 Diabetes and the ride shows not only the physical strength he has, but that other kids with the medical condition can do these rides. Out of nearly 400 riders, Kevin, who is also a coach in his chapter, said there were nearly 30 junior riders (under the age of 18). Out of those 30, approximately 16 were ones who are living with diabetes. Holden was the youngest out of the entire group. 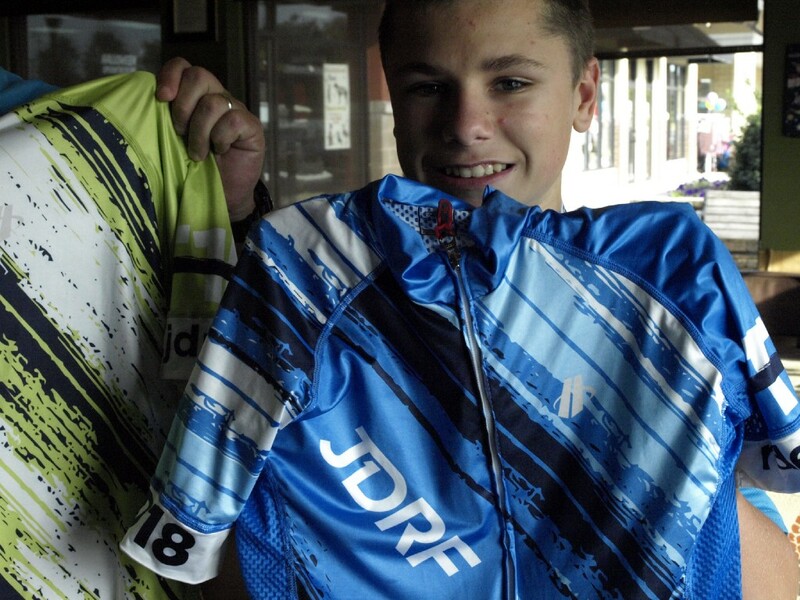 “I also believe that I was the only junior [Type 1 Diabetes] rider in the group,” added Holden. The Riefenstahl family also participates in other charitable causes for Type 1 Diabetes, and Kevin and his wife, Jennifer, try to teach Holden how to be a young advocate for his medical condition. 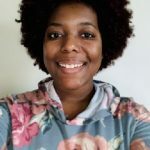 “We have a walk at the end of this month at Camden County College within our South Jersey Chapter,” said Holden. Team members from Holden’s Hope try to participate in other charity rides such as Tour de Shore, a children’s charity event; Tour de Cure, a charitable bike ride for the American Diabetes Association; The Ride for Autism, a ride supporting Autism New Jersey; the City to Shore Ride for the National Multiple Sclerosis Society; and the American Cancer Society’s rides. While he wasn’t able to get a few of his classmates from Clearview Regional Middle School to join, Holden said the middle and high schools are creating a joint mountain biking club, which he seeks to recruit people from.